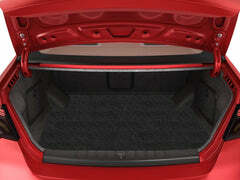 The Car Mat Company - Nissan Custom Car Mats provide reliable protection against moisture and dirt. 100% tailor made in the UK for a precise fit and available in 4 different grades of premium carpet. All are hard-wearing, featuring additional protection against wear and tear, and have non-slip granulated backing to help eliminate movement within the foot well. A heel pad is added for extra durability on our grades of carpet. Every set of car mats include all necessary fixing clips needed to secure the relevant mats in place (where applicable). Also available in our high durability PVC option, which includes a raised edging and elegant design that not only protects the foot-wells from damp and dirt, but also prevents feet from getting wet.